Are you struggling to cut a straight line off your workpiece? It requires a lot of attention and the right technique. A reciprocating saw is a predominant tool for the job, and it’s generally used for ripping off the lumber. Do you want to learn how to cut a straight line with a reciprocating saw? This article discusses the right technique along with the safety tips so that you can accomplisknow h the straight cuts in mere minutes! What’s Required for the Job? Now that you are with the reciprocating saw you might need some other tools to make the most out of it. To keep yourself safe while working and your reciprocating saw is in excellent condition, you will have to go with a few add-ons. As known about the reciprocating saw, it can cut through anything except rock. This explains the crude nature of the tool. So you must stay safe while dealing with this powerful tool. Your safety gears should include safety glasses for eye protection or a full face shield and a pair of safety gloves. Apart from this, you must also consider the right kind of blade that can cut through any material to get the most out of your investment. To cut the woods straight by a reciprocating saw, you need a pencil to mark on your wood workpiece, two squares, two clamps, and a tape measure. Is the Sawzall Same as the Reciprocating Saw for This Job? The reciprocating saws are also known as Sawzall, which is the brand name of the Milwaukee creation. It has a sturdy blade resembling a jigsaw. It can be conveniently used over a vertical surface. The blade goes in an oval movement owing to the vertical movement along with the usual pull and push. The elliptical movement helps in cutting the wood straight. How to Cut a Straight Line of a Horizontal Workpiece? The clean and straight cut can be made on a plank of wood using a reciprocating saw. For this keep the following points in mind while cutting the wood in a straight line horizontally. When measuring to mount the fence rail of the wood to be cut, also add into account the measurement of the foot as well. You should clamp down the fence rail along the edge using C clamp firmly so that the vibrations of cutting do not move the piece from its place creating rough cuts. Keep the foot of the reciprocating saw with its edge rested along the side of the fence rail (that you are sawing through). A foot with a flat edge is most suitable as a straight side pressure can be maintained on the fence rail without bothering much about the veering in or out of the blades. How to Cut a Straight Line off a Vertical Surface/Workpiece? You can make measurements on the wall and fit the rail with wood screws rather than mounting the surface and then fixing it with the rail. This method allows cutting materials of any type in a straight vertical line. You can make a fence rail using a to buy force dead or flat as scrap material of length desired to cut the wood. The fence rail should be thick enough so that the foot of the song doesn’t slip out from the surface. As we have already mentioned, the reciprocating saws are crude by nature involving particular hazards and demanding preventive measures. You can’t just play along with it. You must make a note of the following safety tips to know how to cut straight with a reciprocating saw. Ensure the reciprocating saw is unplugged while changing the blades or accessories. Wear your safety glasses or safety shield mask and gloves before sawing. The reciprocating saw has the kickback mechanism. It means if the blade is suddenly pulled out of the cut, it can violently buck through the wood you are working on. 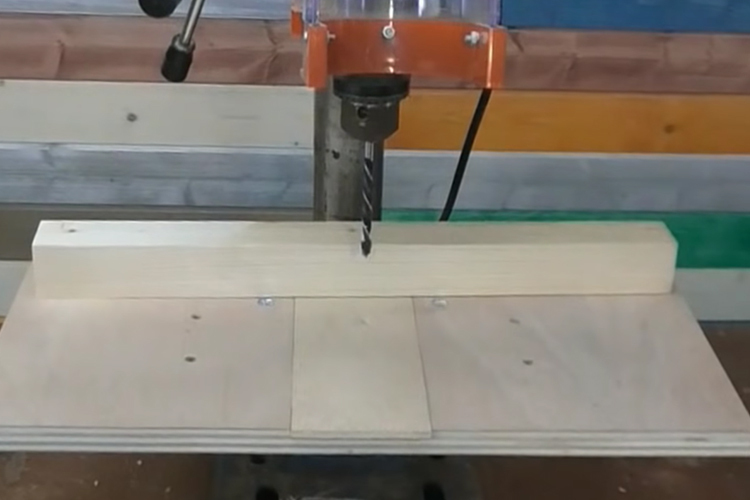 The reciprocating saw can be effectively used to cut the wood into a straight line. By choosing the right blade and the correct technique, you will no longer have to wonder about how to use a reciprocating saw to cut wood straight. 5 How to Use Biscuit Joiner to Join Your Workpieces Properly?